Holidays come in all shapes and sizes, but one thing they have in common is time to spend – however you want! Ever thought what it would be like to take a short trip to the moon? Setting yourself a great challenge like running a marathon or learning an instrument? What about becoming a radio DJ, with your own show, complete with music, interviews, jingles and adverts?! The possibilities are close to endless and you'll find many more inside! Following the characters from the Topz Children's series, this special edition features holiday family activities and stories. Full of biblical diary entries to read puzzles and things to of to keep children entertained whilst learning about their faith over any holiday season. 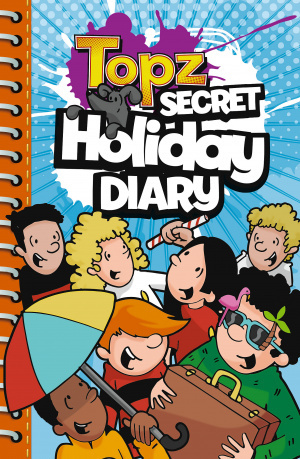 Topz Secret Holiday Diary by Alexa Tewkesbury was published by CWR in May 2014 and is our 1460th best seller. The ISBN for Topz Secret Holiday Diary is 9781782591559. Be the first to review Topz Secret Holiday Diary! Got a question? No problem! Just click here to ask us about Topz Secret Holiday Diary.